We will do everything we can to help you get access to this safe, natural, effective medicine. Help us quickly and accurately process your application. Also you can just call us at 888-548-4846 to schedule your appointment and we will take it from there! 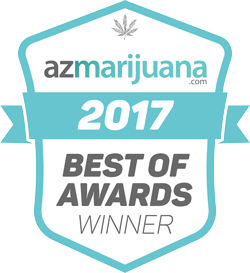 We will help you how to get medical marijuana card in Arizona. Certification: In this visit, the doctor reviews medical records, does an exam, and prepares the documents required for your State application. Completion of the State Application is usually included in the fee. Extended Certification visit: In this visit, the doctor does everything they do in the normal certification visit, but they spend extra time with you to answer more detailed questions you may have. Also, if you have not received recent medical care, and have a serious condition that is not adequately diagnosed or treated, the doctor may need to spend extra time with you confirming your diagnosis or doing any medical care required by your condition, such as referring you to a specialist or ordering labs or bloodwork. There is an additional $50 for the extended visit. The cost of the certification visit will also vary based on whether you qualify for Senior, Veteran, Fixed Income, Disability, or Food Stamp (SNAP), but are usually $150.00 to $200.00, including the extra extended time. Please use your Legal Name, as it appears on your ID for these forms! Yes, I have medical records that prove my qualifying condition, or I can get them by my visit time. If you have medical records that prove your medical condition, you can schedule your appointment here. If you do not have copies of your medical records and would find it difficult to go to your doctors office and pick them up before your visit, you can request them with a records release form. Please note, doctors offices can be slow to send records to other doctors offices, and this may delay your visit time. It is usually quicker to go to the office and get them yourself. However, if you can wait 1-3 weeks for your appointment, contact us and we will help you with a release form. Do you have no records, but a physical condition that is obviously painful, such as a missing limb, severe scarring, or implanted hardware? Yes, I have an obviously painful physical condition. If your painful condition is not obvious, such as migraines, or your scars or lesions are not severe, you will have to get medical records. However, if you have an obviously painful physical condition, you can schedule your appointment here. I do not have medical records or an obviously painful physical condition. If you do not have records that prove your qualifying condition, and you do not have an obviously painful physical condition, it is not likely that you will qualify. The only exception is if you have a qualifying condition that can be confirmed by a lab test or imaging, such as Hepatitis C or an internal injury or lesion that can be seen on an x-ray or MRI, AND you are willing to get that lab or imaging done. If you want our doctor to order the labs or imaging needed to confirm your diagnosis, depending on your insurance, you may have to pay out of pocket for the labs or imaging, and you will have to schedule an extended visit with our doctors for the extra time ordering and interpreting the tests. Extended visits cost an additional $50.